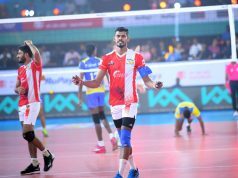 After a strong all-around display against the Chennai Spartans in their opening match, Calicut Heroes will face U Mumba Volley at the Rajiv Gandhi Indoor Stadium in Kochi on Feb 5th 2019 in RuPay Pro Volleyball League. 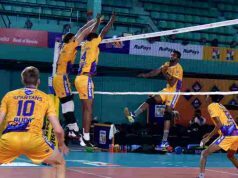 U Mumba Volley, on the other hand, will have a point to prove coming after a tough 1-4 loss to the Kochi Blue Spikers in their opening fixture. 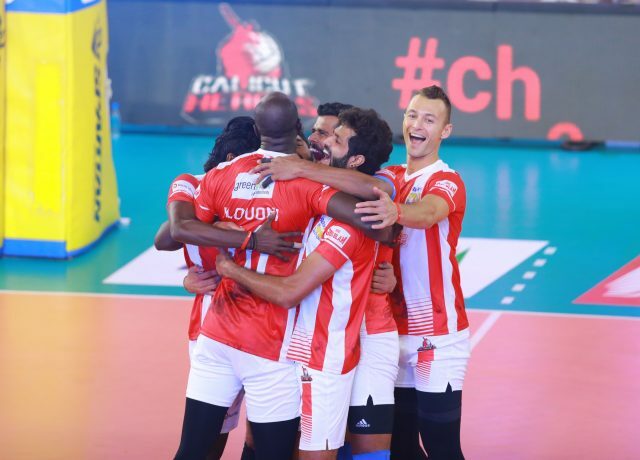 Calicut showed some brilliant attacking form in their last match and will be again banking upon the likes of Paul Lotman, skipper Jerome Vinith and Ajith Lal to get the job done in their second match. U Mumba also had some good performances in the last match as Prince, Nicholas Del Bianco and Shubham Chaudhury stood out for them. Nicholas Del Bianco from U Mumba Volley felt that the first match was not the representation of what the team is actually capable of. “The team is working very hard right now as we prepare to play Calicut. They are a good team but I believe if we play well it will be a good game.” said Del Bianco. 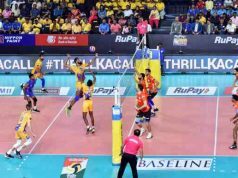 The match will be broadcast live on SONY SIX and SONY TEN 3 and will be streamed live on SONY LIV from 7:00 PM IST on Feb 5th 2019.